We wish you a merry christmas ! In my town i have found a weird tree. I have added some christmas decorations. Now it's a christmas tree (or is it something else hidden ?). Can you guess what is this weird tree ? 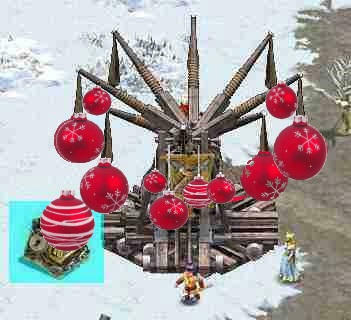 Except the christmas balls, i should add that this picture is just a snapshot of the game. So the true gift hidden behind could hurt some cities. 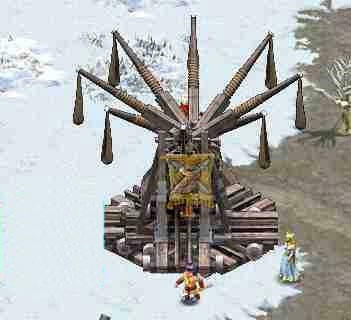 A group of trebuchets and a chest that you did an edit on the game file before hitting play on the launcher. LOL! Ding ding ding! We have a winnah! Wow impressive and well done.